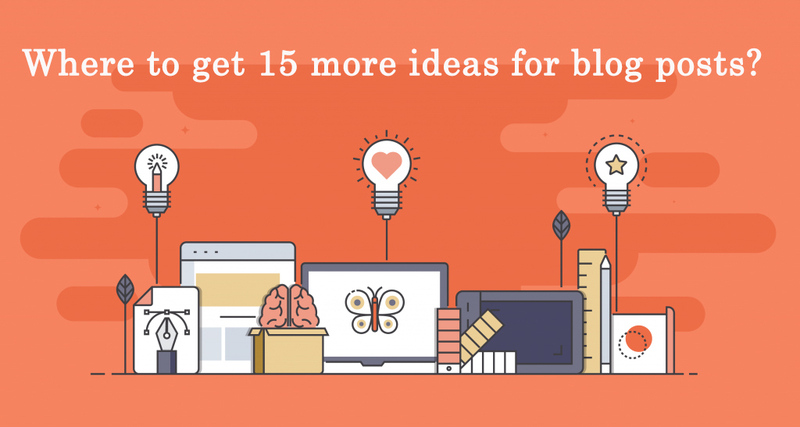 Where to get 15 more Key ideas for blog posts in Website? I talk about finding ideas for new blog posts. The main thing is to work on generating ideas and preparing the material on a regular basis. With search queries that people write on your web page, you can find new interesting topics to talk about in your publications. For analysis, we need Google Analytics and some settings. In the third column of the “Views”, select the desired presentation, if you have not one. Below, we’ll open the “View settings” setting. At the bottom, there will be a “Site Search Tracking” and an “Enable” radio button. Most often it is the letter “s”. To find this option, go to your blog and internal search (I hope that this option is on the blog.This is important – to enable the user to quickly find what interests him, and not to view hundreds of old posts), type a word and press “Search”. It’s enough to simply find them in Google Analytics, analyze and record new ideas for similar topics. I wrote about two approaches to finding the most interesting blog posts in section 6 (about a different approach to the topic). This case took a year ago and over a month I have reviewed about 150 publications of my blog. images of the same width, with signatures and prescribed values of Alt. some parts copied or supplemented. From an experienced point of view, they did not see their value, and the Google Analytics counter was showing sad results. verified whether external links lead to existing pages. Of course, these are just the main things that I saw in the publications. Consider new techniques, ideas and add your own experience. Such material will definitely become more interesting and valuable. It is always worthwhile collecting links in the new post to blog posts on similar topics. For example, “10 most important things for SEO optimization of a blog” if each of these 10 items is a separate article. It’s easy to find things in the comments that interest users. Then write them down to ourselves, group them on similar topics and compile possible topics for future blog posts. The main thing is that the search for ideas does not matter. On the contrary, it expands the boundaries of possible options. This is the easiest way to use it right away. Comments on the blog, on their own pages of social networks or groups, will always throw up new ideas. These ways to find ideas will not be straightforward as specific user questions. But with their help, you can think of something completely new, creative and unexpected. Whatever the book, she is always able to give a new idea. Things that they write about, even completely distant from the topics of the blog, help to look at everything from a different perspective. That’s what generates new topics. Very often random articles generate inspiration and new ideas. The main thing is not to forget about them, but save yourself and at the right time to use. This is also the way we do not look for special ideas. But the interesting material that has accidentally fallen into our field of vision may give inspiration for future publication. It’s just that we know so little about each other and we do not have to ask people about their livelihood. Talk within the topics of your blog: ask for tips, solutions, and ways. Nobody cancels this technique, even if you do it yourself, without a team. Throw in ideas that only come to mind. The bigger the better. And the next day – start filtering and pondering them. To train your creativity, one should accustom yourself to generating new ideas on a given topic every day.